California Historical Radio Society, CHRS - The california historical radio society is a non-profit, volunteer organization dedicated to the radio. our members acquire, restore, trade, and exhibit radio technology and memorabilia. our members research and document historical radio. become a chrs member and learn about the art and science of the radio. RA0FF Contest Page - RA0FF contest Log search Since 1995. UE0FFF log, First DXpedition to Moneron Isl - RK0FWL/p, contest links. DX.QSL.NET Log Search Engine - Search for your call in many of the logs hosted online, also contains links to other logs on the internet. Cassini & Browse Isl. 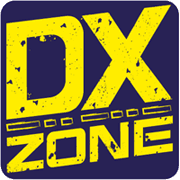 DXpedition - Dxpedition information site has dates, frequencies, operators etc. Planning a searchable data base for logs. OH6YF Log Search - Logs of: OH6YF, OF6YF, OG6YF, OI6YF, OH6Y, OG6Y, OH0MYF, OH0MYF/6, M0BYF, M/OH6YF etc... Over 140000 contacts online! Lost and found in new mexico - I am an EMT-B,an Incident Commander for NM Search and Rescue and an Amateur Radio Operator - KD5KTY Dedicated to the Preservation of Life through Search, Rescue and Education services. VA3RJ Dave - Awards, contesting, dxing, IOTA and Island info, on-line log searches, and much, much, more. CQ Callbook - Online Internet Callbook - The CQ Callbook makes it easy to find QSL information from web-accessible sources like address and manager databases and country-specific callbooks. The search procedure is quite easy: just enter Callsign and click on the Search buttons. HAM Atlas - Ham radio map database with search and logging functions. Currently in german only, run under Windows.